Back in August I posted about a little girl doing a smash cake for her 1st Birthday... I then made a tongue in cheek comment that I would do the same for my upcoming Birthday. Little did I know my husband (who has so little to do with the blog I was shocked he read it) took me up on that and surprised me (well tried to but our son ratted him out...thank goodness) with a photo shoot of our own for my 30th Birthday. Sigh... yes I am 30... the big 3-0, the dirty 30, over the hill (I will take more catch phrases if you have them). So off we go to a fellow photographers studio to do our personal family photos and smash cake. Which as awesome as it is, I need to fill you in on one little tidbit. Our almost 4 year old son HATES getting dirty. On Quinn's first Birthday I did a smash cake and he screamed.... in front of 30 family members who tried not to look embarrassed on our behalf. It was a terrible experience but I didn't let that get me down. For our daughter's first Birthday I did the same... shockingly with great success! I will let the photos speak for themselves, but I personally I think it is hilarious that we are covered in cake, all except for our son who has minimal cake on him and is participating by eating it with a SPOON! Priceless!!! What a great way to truly turn DIRTY 30!!! 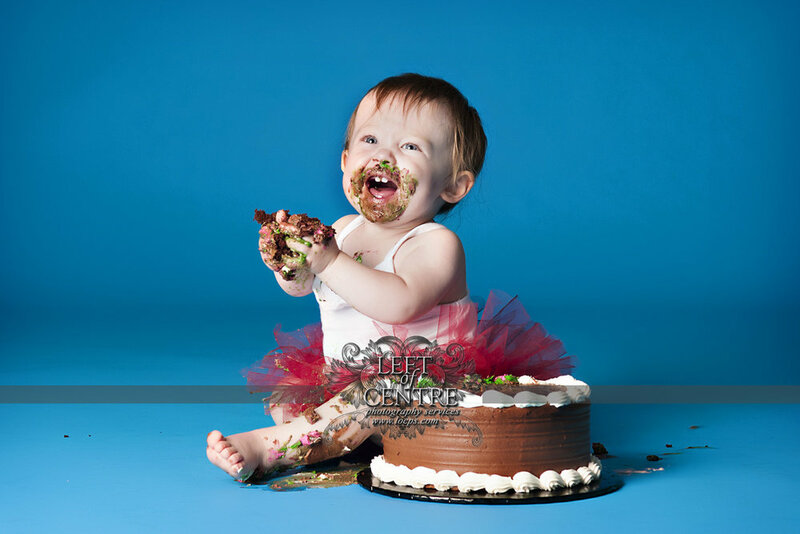 Madison Turns One... with a Smash Cake!